Club Sportiva Corporate Events are designed to help your company succeed in conveying its message. Whether you choose a venue rental, Corporate Driving Experience, or Corporate Tradeshow, our services are designed towards your productivity goals or marketing exposure goals. Venues need to be unique in order for them to be memorable. With high-end amenities coupled to an automotive motif, each of our three Clubhouses has its own unique layout that is sure to leave a great first impression. Our Clubhouses are ideal for team building exercises, employee award ceremoniess, and entertaining clients. All Clubhouse venue rentals come with access to our concierge service, which can arrange and deliver entertainment options and food options, such as wine tasting, hors d’oeuvres, and dinner entrees. Our most popular experiences are available in Corporate guise. Both Exotic Car Experiences give you the opportunity to drive six exotic cars on back roads that are suited for their demeanor. Sprints cover 50 miles and last about 3 hours, while Tours cover 100 miles and last approximately 6 hours. Vehicles on these experiences may have manual transmissions depending on availability. The benefit of doing this as a Corporate client is that you have the option of tailoring your own Exotic Car Sprint or Tour giving you the ability to choose the number of cars you’d like to drive, the type of cars you’d like to drive, and the distance you prefer. Our Events Team will then create a custom route to make sure you enjoy your time properly. We’ve had corporate clients request our entire fleet for a one day experience, and have created custom manufacturer based tours (e.g. Lamborghini or Ferrari only) to create the perfect purist experience. Let us know what your vision is, and we'll let you know how we can bring it to fruition. The same caliber of service is available for Sprints and Tours, which are ideal for team building exercises, client entertainment, and team awards. 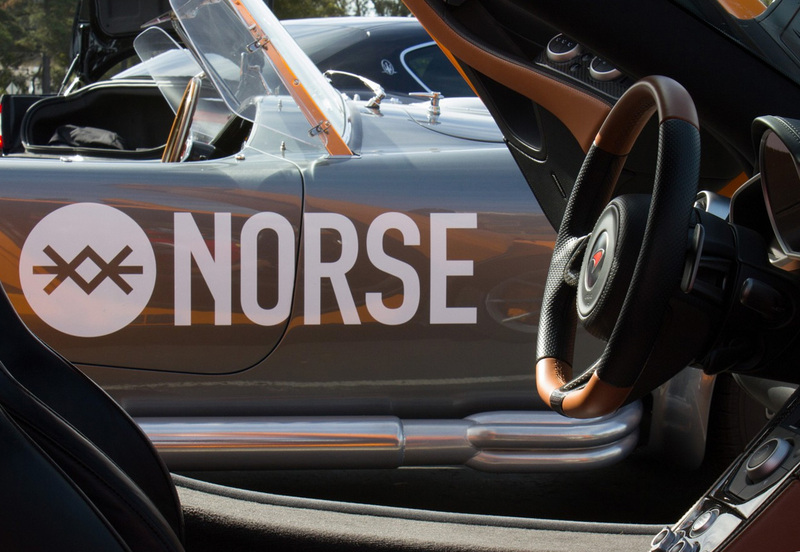 When Norse Corporation asked us to create a custom Tour, their goal was to have a team building exercise that happened to create marketing buzz. To maximize their fun and marketing exposure, we hand picked our best cars and placed their company logos along the sides of each vehicle. Since the tour was self-guided, we recommended some of the best Bay Area back roads to enjoy the capabilities of each vehicle. The results were beyond their expectations. The team had a memorable experience and the company got social marketing exposure throughout the route. The largest impact rentals have are while they remain static and draw crowds at large conferences. 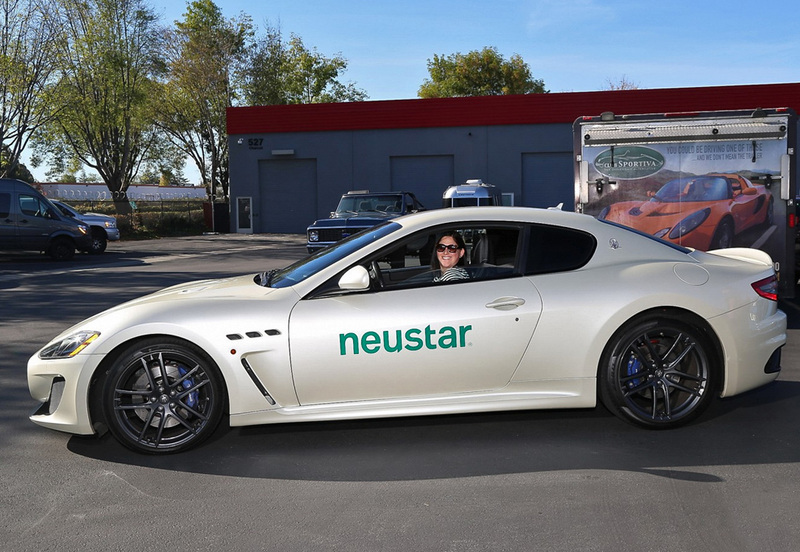 To ensure that no one associates the car with just any company, we provide decals to place your logo on your rental. This is ideal for brands that want to convey performance, engineering prowess, and agility. Fortinet reached out to Club Sportiva to promote their brand at the RSA Conference. As a leader in Cyber Security products, their goal was to increase foot traffic to their booth. 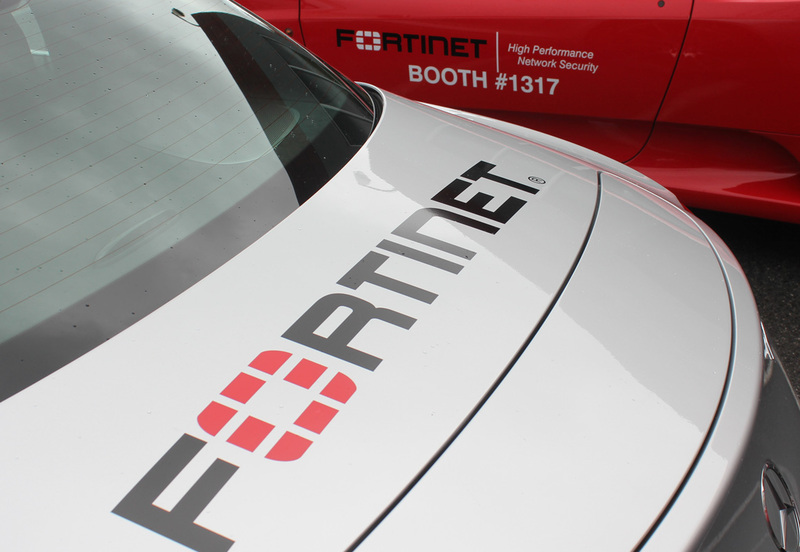 We came up with a strategy to create an initial impression by having our staff drove around the Moscone center with a Ferrari F430 and Mercedes SLS draped in Fortinet logos before parking at the entrance of the convention center. The result was a crowd of invitees that gained brand recognition before they stepped onto the convention floor.